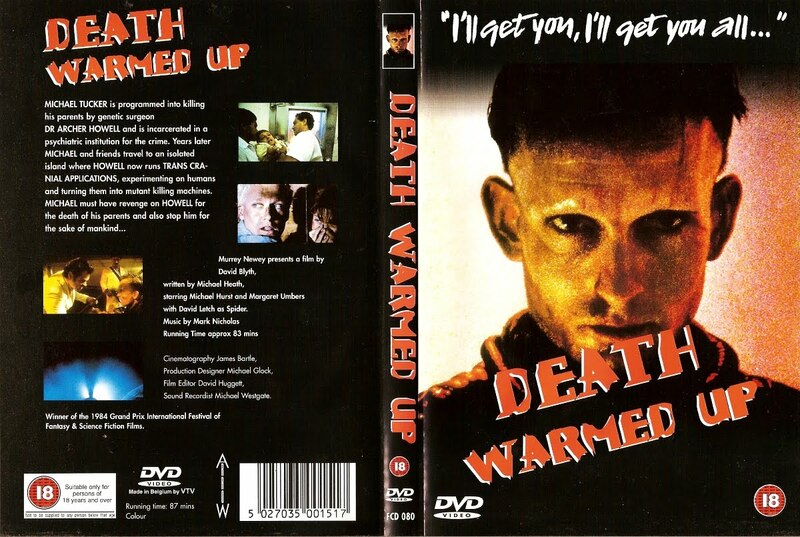 Just as a follow-up to this previous entry detailing the Japanese DVD of Death Warmed Up, the British Arrow Films DVD is also EDITED with a PAL runtime of 77 minutes, 55 seconds. The 4x3, interlaced transfer and cuts are identical to the JVD disc. It seems crazy the BBFC would cut this, even back when the film was last submitted in 1999. The brutal, coldblooded murder of a couple by their son using a Franchi SPAS-12 shotgun in slo-mo is fully intact, but the "much less" bits of graphic violence are sliced. 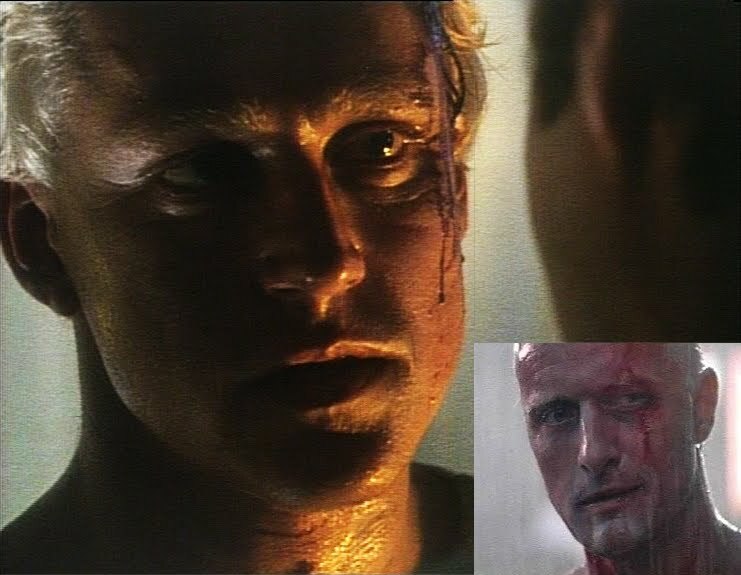 I imagine if re-submitted today, the censors would wave all cuts, that is if the distributor still had usable footage of the missing pieces. I have another version coming in the mail, but it looks like the good 'ol North American Vestron Video tape is still the champion. Forgot to mention this, but there's a sly visual/thematic reference to Hauer's Roy Batty in Blade Runner in the way the lead character ends up .